Tiros 50 mg (T3) is a drug manufactured by the well-known company PharmaCom Labs. The active substance, which is the basis, is lyothyronine, which is similar to triiodothyronine, which is a thyroid hormone. The thyroid gland is responsible for all the metabolic processes of the body. A positive influence on this gland can give rise to many indicators, including those that are valued in various sports disciplines. 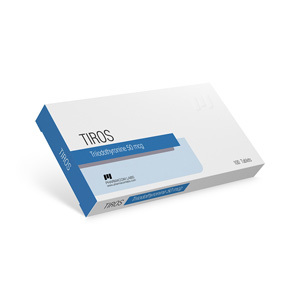 Tiros 50 mg is a preparation of thyroid hormone. It has an active active ingredient, triiodothyronine (presumably liothyronine, a levorotatory isomeric triiodothyronine identical in biological action). This is a thyroid and not a steroid product, which causes most side effects typical for anabolic and androgenic steroids: like androgenic (from acne to acne to baldness of the head), estrogenic (from fluid retention to estrogen gynecomastia) or progestogenic (from suppression potency to progestin gynecomastia). Triiodothyronine lacks a gender-specific effect, therefore its preparations are considered relatively harmless for both men and women. Effects of Tiros 50: compensates for the deficiency of thyroid hormones; stimulates the growth and differentiation of tissues, increasing their need for oxygen; suppresses appetite; increases body temperature and the level of basal metabolism, – fats, proteins and carbohydrates; promotes erythropoiesis in the bone marrow; strengthens energy processes, increasing mental activity and speeding up the flow of mental associations, increasing motor activity and prolonging wakefulness; improves the function of the cardiovascular and central nervous systems, the liver and kidneys. Tiros 50 is one of the strongest thyroid drugs. The fact is that the human thyroid gland produces 2 key hormones characterized by the presence or absence of an additional iodine atom in the molecule: 1st is thyroxine (its pharmacological analog is levothyroxine), 2nd is triiodothyronine (its pharmacological analog is lyothyronin). 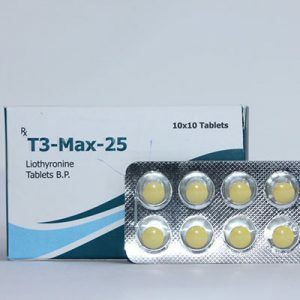 Thyroxin (also known as T4) is a low-active form, produced by the thyroid gland in the greatest amount (up to 60-80% of the total mass), and then converted into triiodothyronine (also known as T3), which has the main biological effect. Therefore, triiodothyronine / liothyronine / T3 products are de facto considered the strongest thyroids on sale. Many athletes who decide to buy Tiros 50 mg by mail, note its similarity with adrenaline. 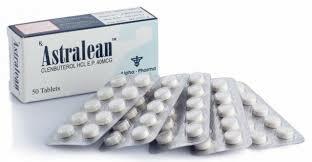 The drug makes the heart beat faster, causes sweating, overexcitement, muscle tremors and a feeling of heat. But avoiding side effects is easy – a competent combination of thyroxine with beta-blockers will help. The course of weight loss should start with a minimum dose of 25 μg twice a day. In the future, the dose is increased to 300 μg per day with constant monitoring of the pulse rate. Reviews of Tiros 50 mg suggest that a marked decrease in body weight is observed a month after the start of treatment. If even after 7 weeks the results were unsatisfactory, resume taking the pill only after 3-4 weeks. 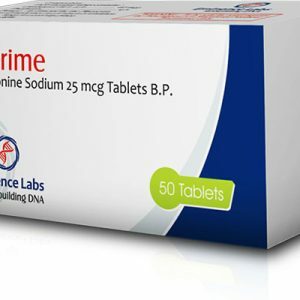 The hormonal substance can be used in combination with Yohimbin and Clenbuterol to enhance the effect of fat loss.